After winning five straight games just to get into the 2019 MACJC State Basketball Tournament, the East Central Community College Warriors ran out of steam in the first round dropping a 70-53 decision the North Division No. 1 Seeded East Mississippi Lions Tuesday, Feb. 26, in Ellisville. This year’s tournament is being played at A.B. Howard Gymnasium on the Jones College campus. East Central entered the tournament as the No. 4 Seed in the South Division and had already defeated East Mississippi twice during the regular season, including 73-66 on Nov. 8 in Decatur and 58-57 on Jan. 8 in Scooba. But the Lions broke open a close game at the half and pulled away at the end for the 17-point win. The Warriors led only once in the ballgame at 26-25 with five minutes to play in the first half. East Mississippi took a 36-32 lead at intermission. East Central tied the score at 38-38 with about 16 minutes to play, before the Lions started to pull away. A jumper by sophomore guard Roti Ware pulled East Central to within two at 50-48 with 7:46 to play before East Mississippi went on a 20-5 run to close out the game. The game was won at the free throw line, where East Mississippi hit 25 of 33 attempts, while East Central was just 3 of 5. The Warriors were whistled for 26 fouls to just 10 for the EMCC Lions. Ware of Morton lead East Central with 18 points. Freshman forward Marcus Bates (Tuscaloosa, Ala., Paul Bryant) added 11 points and pulled down six rebounds. Freshman guard Nick Preyer (Mobile, Ala., LeFlore) had seven assists. Darrious Agnew of Starkville led EMCC with 21 points, while Terryonte Thomas of Columbus added 17 points and nine rebounds. he East Central men will be the No. 8 seed in the 2019 National Junior College Athletic Association Region 23 Tournament to be played March 5-9 at A.E. Wood Coliseum on the Mississippi College campus in Clinton. The East Central women, who failed to qualify for the MACJC State Tournament, will be the No. 6 seed. Brackets will be announced Friday, March 1. Tuesday morning turned deadly in as Winston County Deputies responded to a report of shots fired at a residence on Young Crossing Road at 10:37 am. Law enforcement found 18 year old Malik Miller with gunshot wounds at the scene. The shooting occurred in the yard of the residence. Miller was transported to the medical clinic in Noxapater and then transported by ambulance to Winston Medical Center where he was pronounced dead. There were several individuals present but immediate suspicion fell on 18 year old Jared Hannah who had left the scene. Law enforcement began a search for Hannah in the following hours. Based on information received that Hannah may be located in a residence on Odie Shields Road, Winston County Sheriff's Deputies apprehended Hannah at approximately 2:30 pm. Hannah was found while hiding in a closet of the home. Sheriff Jason Pugh commended his staff and Chief Deputy Keith Alexander for their work and investigation of the crime. Hannah is currently held at the Winston Choctaw County Regional Correction Facility and is expected to be arraigned later today. The investigation is ongoing and additional suspects and additional charges may follow. Helen Miller was born and raised in Louisville, MS graduating from the Louisville Colored High School in 1955. She migrated to Chicago, IL shortly thereafter. She is presently 82 years old. Helen Ashford Miller became one of the original founders of the Service Employees International Union (SEIU) 880 in Chicago, IL. There she helped fight for wage increases, health insurance, and for paid training of healthcare workers. Helen began working as Vice President of SEIU in 1992, and while serving in that position, she worked alongside of President Barack Obama. She was elected President of the SEIU in 2004. Helen played an instrumental part in getting President Obama elected as Senator Obama of Chicago in 2005. HELEN MILLER: FIRST HOMECARE WORKER ELECTED TO THE SEIU INTERNATIONAL EXECUTIVE BOARD (IEB), 2004 SEIU NATIONAL CONVENTION, San Francisco, California. In yet another milestone, SEIU LOCAL 880 PRESIDENT HELEN MILLER was elected to the SEIU National Executive Board at the 2004 SEIU International convention. Helen is noted for being one of the highest ranking black women to hold a leadership position in the SEIU to this day. The Helen Miller Education and Training Center was establish and dedicated to Helen in 2007 in Chicago, IL. (see photo below) The center has assisted in helping over 20,000 healthcare and childcare providers. She received a personal letter from then Senator Obama thanking her for all of her accomplishments. Helen then moved back to her home of Louisville, where she still resides. Helen was just recently visited by, Keith Kelleher, a friend and former co-worker for many years. Keith is the Former President SEIU Healthcare IL & IN who retired in 2018. Keith presented Helen with an Operation Push Award, videos of her retirement party in 2007 and one of the 30th Year Anniversary of the Homecare Program that she assisted in establishing. Helen has numerous awards displayed in her Louisville home. It’s such an honor to recognize and honor Helen Ashford Miller’s achievements for Black History Month 2019 in the exhibit at the Winston County Library. Thanks to Yvonne Norton and Gloria Turnipseed for assisting with this article. Both are members of Bethany Presbyterian Church, Louisville, along with Helen Ashford Miller. Rev. Cedric Wooten is their pastor. 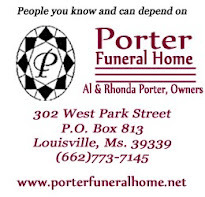 Nettie Walker was born and raised in Louisville, MS. She graduated in 1961 from Noxapater High School. She migrated to Omaha, NE in 1962 and married a military man, Lylton ‘Jack’ B. Jackson in December 1965. He was moved to New York for one year until he was sent to Vietnam 1967 – 68. Nettie attended Skadron College of Business, San Bernardino, CA. graduating in 1968. After her husband returned from Vietnam, they moved to Montgomery AL during the height of the Civil Rights Movement. She became the first African American to integrate Phoenix Furniture Store as a salesperson. It was during the time when African Americans had to go to the back to pay their bills. She could only sale small items which because of racism kept her from receiving large commissions. Eventually, all the African American wanted her to wait on them as support to her. The people in Montgomery County were very united and they were very happy to see me on that job. The manager and other whites were upset by that. She worked there one year and made good money before her husband was assigned to Hampton, VA. They also spent 3 years in Ramstein, Germany 1973-76. Then they were stationed in Great Falls, MT. She worked for Montgomery Ward’s there and continued that employment for 25 years. She worked there while in Hampton and Woodbridge, VA. After Montgomery Ward’s closed, she finished her career as a sale’s consultant for Thomasville Furniture Company. Nettie and her husband are retired and have lived in Woodbridge, VA for 34 years. They are the parents of two sons: Darren and Darryl Jackson. They have 5 grandchildren. Southern Specialties Inc. of Pompano Beach, Florida is voluntarily recalling select bags of Marketside brand green beans and butternut squash because they have the potential to be contaminated with Listeria monocytogenes, an organism which can cause serious and sometimes fatal infections in young children, frail or elderly people, and others with weakened immune systems. Although healthy individuals may suffer only short-term symptoms such as high fever, severe headache, stiffness, nausea, abdominal pain and diarrhea, Listeria infection can cause miscarriages and stillbirths among pregnant women. The company shipped the recalled product to one retail distribution center. Although most of the product was retrieved before distribution to retail stores, some product shipped on February 17th may have reached select stores in Alabama, Florida, Georgia, Kentucky, Mississippi, North Carolina, South Carolina, Tennessee and Virginia. So, in an abundance of caution, we are issuing this public announcement. Consumers can use the following information to determine if they have the recalled product. Anyone who has the recalled product should not consume it and either destroy it or return it to the place of purchase for a refund. February is the month to celebrate Black History and to continue to educate about untold stories that are hidden in the history books of American History of African Americans. The 2019 theme is Black Migration. The focus at the Winston County Library Exhibit is on local African American residents who migrated from Winston County in the 50s and 60s, however, most have returned for a more comfortable life after retirement. Mary McWilliams’s story is featured in the Black History Exhibit at the Winston County Library, 301 West Park Street, Louisville, MS., 662-773-3212. This writer (Elmetra Patterson) is the curator of this exhibit. Mary Waldrip was born and raised in Louisville, MS graduating from Louisville Colored High School in 1963. This writer remembers her as an excellent student who was very active. She migrated to Milwaukee in 1968 to find better opportunities for a good paying job. She became an employee of Allen Bradley Company, Milwaukee, WI. And retired from there. She returned to Louisville July 5, 2005. She and her husband Q. C. McWilliams of 50 years are the parents of six children: Avery, Eryka, Damien, Quinton, Martrell and Eric. Mary is the treasurer of the Friends of Dean Park, Inc. of which she has been a member for 8 years. She is also a volunteer with Black Girls Read. 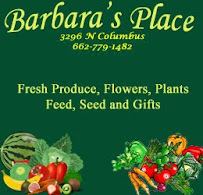 Her granddaughter is a member of this thriving group which is directed by Dr. Melissa Davis. Mary is a member of the Center Hill Church of God, Louisville, MS.
February is the month to celebrate Black History and to tell the untold stories that are hidden in the history books of American History of African Americans. The 2019 theme is Black Migration. The focus at the Winston County Library Exhibit is on local African American residents who migrated from Winston County in the 50s and 60s, however, most have returned for a more comfortable life after retirement. Mattie Eichelberger Davis’ story is featured in the Black History Exhibit at the Winston County Library, 301 West Park Street, Louisville, MS., 662-773-3212. This writer (Elmetra Patterson) is the curator of this exhibit. Mattie Bell Eichelberger, the 13th child of 23 children, was born to William James Eichelberger and Betsy Ann Hughes-Eichelberger on July 10, 1947. Her grandfather was a slave in South Carolina and migrated to Noxubee County, Mississippi in 1860 with the family’s slave master. After freedom from slavery, the family settled in Winston County on the Hull Plantation and became sharecroppers. She attended Rocky Hill School and was transferred to Louisville Colored High School in the 8th grade. After completing the 10th grade at Louisville Colored High School in 1965, she migrated to Oakland, CA with an older sister Marcella Eichelberger Turnipseed Hubbard graduating from Berkeley High School June 1967. After which, she attended Merritt College in Oakland pursuing a business degree for two years. She graduated from Contra Costa College, San Pablo, CA with associate degree in Business Administration. She became employed by Bank of America in 1969 in the Bank’s Corporate Insurance Department as Office Manager and Operations Officer. She retired from Bank of America after 33 years. Mattie is married to Melvin Davis after meeting in 1972. They have one son LeVante Melvin Davis, Sr., one grandson LeVante Melvin Davis, Jr., one great grandson, Royce Jordan Davis and one great granddaughter Kyla Rose Davis. Mattie stated that it was always her dream to return to Louisville. 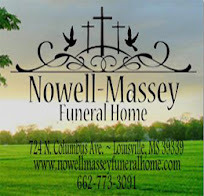 In 2008 Mel and Mattie purchased a house in Louisville which is about a 5 minutes’ drive from where she was born on West Sinai Road. However, she still maintains residence in Richmond, CA. She helped provide much care for her late mother, Betsy Ann Eichelberger who passed at 99 Years of age, February 5, 2018. She and Melvin are members of Bethlehem Missionary Baptist Church, Richmond, CA. When in Louisville, they attend Mt. Sinai Missionary Baptist Church. She is very active in many ministries in both churches, but loves the Ushers, Nurses, and the Benevolence Ministry. A heartbreaking, last-second loss to No. 9 Pearl River back on Feb. 4 left the East Central Community College Warriors with a 1-8 record in the MACJC South Division and little chance of qualifying for postseason play and a trip to the state basketball tournament. The Warriors could ill afford another loss if they had any hopes of advancing to the postseason after a one-year absence. East Central responded by reeling off five straight wins to close the season, including a thrilling 68-67 road win over Southwest on Thursday night, Feb. 21, that gave the Warriors the No. 4 seed in the MACJC South Division. East Central will face East Mississippi, the No. 1 seed from the North Division, in a first round game at 3 p.m. on Tuesday, Feb. 26, at A.B. Howard Gymnasium on the Jones College campus in Ellisville. The two teams have met twice already this season, with East Central coming out on top 73-66 on Nov. 8 in Decatur and 58-57 on Jan. 8 in Scooba. The MACJC State Tournament bracket will be released later today. The ECCC women were not quite as fortunate. The Lady Warriors defeated Southwest Thursday night 68-62, putting them in a four-way tie for second place in the South Division with a 9-5 record. However, after the first tie breaker was applied, the Lady Warriors were determined to be the No. 5 seed and thus did not qualify for the state tournament next week. ECCC appealed the application of the seeding tie breaker, but that appeal was denied by the MACJC Athletic Council Friday afternoon. Based on its 16-5 record this season against Region 23 teams, the East Central women are expected to qualify for the National Junior College Athletic Association Region 23 Tournament that begins March 5 at Mississippi College in Clinton. The East Central men are also expected to qualify for the Region 23 Tournament. Things didn’t look good for the East Central Warriors early as they fell behind by double digits in the first half, trailing Southwest 40-27 at intermission. The Bears pushed their lead to 47-31 with 16 minutes to play. But the resilient Warriors went on a couple of big runs late in the game and finally regained the lead 68-66 with 12 seconds to play and held on for the 68-67 win. Sophomore guard Roti Ware of Morton scored 30 points to help the Warriors to the season sweep of Southwest. He also had five rebounds and four assists. Freshman guard Nick Preyer (Mobile, Ala., LeFlore) was the only other Warrior in double digits with 12 points. Preyer just missed his second straight double-double of points and assists with eight assists. He had 10 assists in a win over Hinds earlier in the week. With the win, the Warriors ended the regular season 13-10 overall and 6-8 in the South Division. The Southwest Bears concluded their season with a 13-10 overall record and 4-10 in division play. The women’s game in Summit was close throughout with East Central holding a 19-18 lead after one period and 33-30 at the half. The Lady Warriors tried to put the game away in the third period, running out to a seven-point lead, the largest of the night, but Southwest kept fighting back. The Lady Bears went on a 13-4 run late in the third and early in the fourth period to grab a 55-52 lead over East Central. From there, the Lady Warriors would outscore Southwest 16-7 for the 68-62 win. Sophomore forward Sharan Turner (Gonzales, La., East Ascension) led East Central will 14 points, four rebounds, and three blocked shots. Freshman forward Jamaica Almons (Jackson, Murrah) had a big night with a dozen points and nine rebounds. Sophomore forward Diamond Wraggs of Louisville added 11 points. The Lady Warriors, who received votes in the NJCAA Women’s Top 25 poll this week for the first time this season, improved to 18-5 overall and 9-5 in MACJC South Division play. The season ended for the Southwest Lady Bears who were 8-15 and 3-11. East Central also defeated Southwest 76-69 on Jan. 28. The Winston Cattleman Association (WCA) hosted their second meeting of 2019 last Thursday night at the Winston County Extension office. As usual there was great fellowship between the members and guest. Key note speaker of the night was Dr. Josh Maples, Extension Agriculture Economist, he spoke on how important keeping farm records is to the financial success of a cattle operation. The Winston Cattleman Association is pleased to announce attendance and membership is among the highest level in Association history. This is due to the growth of the cattle industry statewide, and within our home county. Statewide the cattle industry has more than 930,000 head, over 15,940 farms, with approximately $305 million in state revenue. Winston County is home to approximately 15,000 head, and the industry is expected to grow. Statewide revenue in the cattle industry is $20 million higher than 2017 USDA reports. In addition, the Winston Cattleman Association Board of Directors was pleased to present Spiva Gene Richardson, DMV with a plaque expressing their appreciation for the service he’s provided the Cattleman of Winston County over his 55 year career. Mr. Wilson Webb WCA President, presented Dr. Richardson with the plaque. On behalf of the MSU Extension Service, I’d like to say congratulations to Dr. Richardson on a fabulous career. I’d also like to thank the Winston Cattleman Association Board, and members for supporting the educational mission for Winston County’s Cattle producers. Lastly, I’d like to thank the Winston County CO-OP for sponsoring the night’s meal. We could not provide high quality educational programs without sponsorship of these events. A sincere thank you to CO-OP owner Mr. Bill McGee, family and staff. If you’d like to join the Winston Cattleman’s Association, and learn from MSU Extension Specialist, USDA staff, WCA members and industry professionals, contact your local MSU Extension office at 662-773-3091 for more information. The Winston County Sheriff's Office is searching for information on the identity of the individuals in the following video. 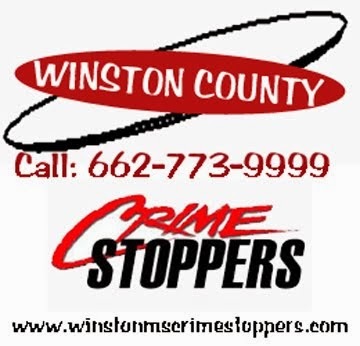 On Wednesday, February 20, these individuals are suspected of shoplifting items from J &S Food store on HWY 25S in Winston County. It is also believed that the individuals returned on Thursday, February 21 at around 5:00 am and attempted to remove some implements/equipment from behind the store. If you have any information concerning the identity of any of these individuals or information about the crime, contact the Winston County Sheriff's Office at 662-773-5881 or Winston County CrimeStoppers at 662-773-9999. A reward is offered. February is the month to celebrate Black History and to continue to educate about untold stories that are hidden in the history books of American History. The 2019 theme is Black Migration. The focus at the Winston County Library is on local residents who migrated from Winston County in the 50s and 60s, however, most have returned after retirement. The story focused here is about one native who did not return yet but plans to within two years. His story is featured in the Black History Exhibit at the Winston County Library, 301 West Park Street, Louisville, MS, 662-773-3212. Jackie V. (“Rip”) Eichelberger is an entrepreneur. Born, raised and educated in Louisville, Mississippi. He went to Camille Street High School through his junior year, but graduated in his senior year from Louisville High School 1n 1971 after desegregation. He furthered his education at Mississippi Valley State College. In 1972, he became employed by Taylor Machine Works in the position of shear operator until 1974 when the workers went on strike. Although the strike ended in 1974, now a father, he sought temporary jobs to support himself and his family. Lack of Finances forced him to make a move to Milwaukee, Wisconsin. After being in Milwaukee for about two weeks, Jackie found employment at Aqua-Chemicals where he worked for two and a half years as an overhead crane operator. When he faced another layoff, he found gainful employment with P&H Harnischfeger as an overhead crane operator for five years, not missing a day. On his five-year anniversary, he received a final paycheck and a layoff notice. He was tired of the strikes and layoffs, thus setting him on the road to become a small businessman and entrepreneur. The culmination of the education and employment led him through studying, training, teaching and competing in Martial Arts, Tae Kwon Do (karate), under Jae Kyu Lee, a ninth-degree Black Belt from Korea resulted in receiving a fourth-degree black belt. After competing in tournaments and full contact karate for many years, he opened Rip’s Black Academy. Now, as a business development consultant, he is involved in building small businesses in many diverse platforms nationwide. As an entrepreneur, he has been blessed to eagerly pursue many business opportunities, just to name a few: a restaurateur, a vending machines owner, and a licensed home improvement contractor. Today, he is a minister. All the things that he has done and will continue to do would not have been possible without his relationship and faith in the Lord. Isaiah 40:31 “They that wait upon the Lord shall renew their strength.” He is a devoted father of three adult children and grandfather to four grandchildren whom he adores. He continues to reside in Milwaukee, WI. Concord Foods, LLC of Brockton, Massachusetts is recalling Concord Fresh Success Mild Salsa Seasoning Mix because it may contain undeclared milk allergen. People who have an allergy or severe sensitivity to milk allergen run the risk of serious or life threatening allergic reaction if they consume this product. The affected product contains a best by date code of 071121. The best by code date is embossed on the right-side panel, bottom. No other Concord Fresh Success products, varieties or best by dates are affected by this recall. Concord Fresh Success Mild Salsa Seasoning Mix was distributed nationally through retail stores. Consumers who have purchased the Concord Fresh Success Mild Salsa Mix with the date code of 071121 are urged to return it to the place of purchase for a full refund. Consumers with questions may contact Concord Foods at 508-580-1700. Hosting a deer show and educational program after deer season is admittedly an unusual time to promote deer herd and land management. But if you think about it, not really. Yes, most people really get fired up about deer hunting in the fall, and without fail you’ll routinely see trucks hauling tractors, disk, seed, fertilizer, and ATVs headed to various hunting properties. But, land management for wildlife, especially deer herds is more than planting food-plots and putting up shooting houses or ladder stands and feeders. If you are a serious hunter, and want to harvest quality animals, and have your family enjoy the sport as well, then the perfect time think about next deer season, is right after the last one is over. Aspects of land management such as unproductive tree canopy reduction, soil quality, prescribed burning, and game camera surveys, just to mention a few is something that can be done year round. These are some of the things discussed at last week’s deer show, as well the hottest topic of the 2018-2019 deer season, Chronic Waste Disease (CWD). CWD will have repercussions on deer hunting in the future, but there are many myths, and misunderstandings about this disease that were addressed so the Winston County deer hunters will know the facts. The first ever Winston Whitetail Wonders Deer Show exceeded our expectations, with strong attendance, and more than 25 deer mounts were on display. I’d like to say thank you to the attendees, and sponsors. 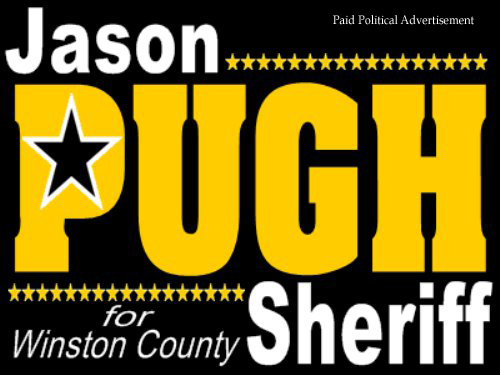 Please let these sponsors know how much you appreciate their support, to include: City Gun and Pawn, Winston County CO-OP, Sullivan’s Meat Processing, Joey Griffin’s Deer Processing, Barbra’s Place Nursery Feed & Seed, and Firewise through Winston County Board of Supervisors. And much appreciation for Mr. Charles Henry Stokes taking the time to help, and cook a GREAT stew that everyone enjoyed. Last but not least, I’d like to say thank you to the local National Wild Turkey Federation (NWTF) for their support, and for certain, Turkey hunters are land managers too. The local NWTF Banquet will be February 23rd, at Grace Christian School. Tickets will available at all our local banks and Winston Furniture Company. If you have question on land and/or wildlife management please contact your local Winston County Extension Office, 662-773-3091. Notice is hereby given that the City of Louisville, MS, is now taking applications to fill the position of a full-time Police Officer. Job descriptions and requirements are available upon request at the City Hall, 662-773-9201 or 773-3511. Applications may be filed at the City Hall, 2373 South Church Street, or P.O. Box 510, Louisville, MS 39339, no later than eleven o’clock (11:00) A.M. on Friday , March 1, 2019. The East Central Community College men’s and women’s basketball teams both moved a step closer to postseason play with big wins over Hinds Community College in the final home games of the season in Bracken-Wood Gym in Decatur Monday, Feb. 18. The ECCC Lady Warriors took care of business in the opener with a 76-59 win over the Hinds Lady Bulldogs. The Warriors, needing a win to stay in contention for a postseason berth, defeated the Hinds Bulldogs 85-68. It was Sophomore Night at East Central as all sophomore basketball players and managers were honored before each game. It also was the annual Pink Out Breast Cancer Awareness game for the women’s team. Women sophmores honored (from left) Forward Diamond Wraggs, Louisville; guard Feria Mays, Kosciusko; guard Riann McCollum, Douglass High School (Atlanta, Ga.); forward Sharan Turner, East Ascension (Gonzales, La. ); guard Breanna Riley, Biloxi; manager Jamie Lane, Ridgeland; and forward Whitney Waters, Heidelberg. Shown with the players is head coach LaTaryl Williams and assistant coach Kristen Sampson. The win improved the Lady Warriors to 17-5 overall and 8-5 in MACJC South Division play. East Central is now in a three-way tie for third place in the South Division with Pearl River and Gulf Coast. Two of those three teams will play in the MACJC State Basketball Tournament next week, while one will be eliminated after Thursday’s games. The Warriors improved to 12-10 overall and 5-8 and stand alone in fourth place in the South Division. East Central can punch its ticket to the state tournament with a win at Southwest on Thursday. The Lady Warriors overcame a poor shooting night and a first half deficit in the win. East Central shot just 33 percent from the floor in the first two periods, and hit only 4 of 23 three-point tries and 8 of 20 free throws in the contest. The Lady Bulldogs (6-15, 1-12) led 30-29 at the intermission, before East Central pulled away in the third period to take control of the game. Three Lady Warriors scored in double figures led by sophomore guard Breanna Riley of Biloxi with 19 points on 9 of 13 shooting from the floor. Sophomore forward Sharan Turner (Gonzales, La., East Ascension) added 17 points. Sophomore forward Diamond Wraggs of Louisville would score 12 points and pull down 12 rebounds, as the Lady Warriors controlled the boards with a 20 rebound advantage for the game. Sophomore guard Feria Mays of Kosciusko had a game-high six assists. East Central shot lights out from the floor in the men’s game, but it took a big second half to put away the Hinds Bulldogs. Men sophmores honored (from left) guard Josh Green, Harrison Central; guard Roti Ware, Morton; and forward Brandon Williams, Leake County. Leading just 33-29 after 20 minutes, the Warriors scored 52 points in the final 20 minutes of play to put the game away. East Central shot 63 percent from the floor for the game, including 53 percent from beyond the three-point arc. Five Warriors scored in double figures in the 17-point win over the Hinds Bulldogs (11-11, 4-9) as East Central won its fourth straight outing. Sophomore guard Roti Ware of Morton had 17, sophomore guard Josh Green of Harrison Central had 15, freshman forward JaQuarius Smith of Noxubee County scored 13, and freshman guard Devin Carter of Pearl had 11. Freshman guard Nick Preyer (Mobile, Ala., LeFlore) had a double-double of 13 points and 10 assists. East Central will close out the regular season with that trip to Summit to face Southwest on Thursday, Feb. 21. Those game times are 5:30 p.m. and 7:15 p.m. The 2019 MACJC State Basketball Tournament will be played Feb. 25-28 on the campus of Jones College in Ellisville. The top four teams from the MACJC South and North divisions qualify for the tournament. The East Central Community College softball team opened the 2019 season with a pair of wins at the Northeast Mississippi Community College TigerFest Tournament, and in the process gave Eric Neel his first win as head coach of the Lady Warriors. The ECCC Lady Warriors finished 2-1 against three NJCAA Division I teams in play on Friday, Feb. 15, in the tournament held in Booneville. East Central defeated Calhoun Community College (Ala.) 7-4 in its season opener, followed by a 12-10 loss to Jefferson College (Mo. ), and then a 9-8 win over Southeastern Illinois College. All three games were six innings due to time limits set for the tournament games. In the season-opening win over Calhoun, the Lady Warriors got three hits and two RBI each from freshman third baseman Hannah Dufault and freshman shortstop MaKenzie Barnett. 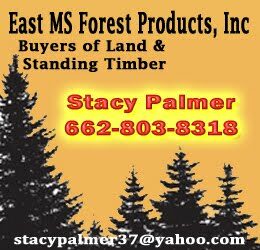 Dufault, out of East Central High School in Hurley, had a pair of solo home runs and a double, while Barnett of Neshoba Central had two singles and a double. Freshman right fielder Olivia Houston out of Northwest Rankin had two doubles. Sophomore Annika Jones of Leake Academy got the win in the circle, as three East Central pitchers limited Calhoun to six hits. East Central lost a heartbreaker in game two against Jefferson College. The Lady Warriors had a 10-5 lead after four innings before Jefferson College scored three runs in the top of the fifth and four more in the top of the sixth for the 12-10 win. The Lady Warriors had only seven hits in the loss, but three of those were home runs, including a three-run homer by Houston, a two-run shot by freshman catcher Anna McNeer out of Canton Academy, and a solo home run from freshman center fielder Parker Breland of Union. Houston had four RBI in the loss and Barnett also drove in a couple of runs with a single. In the final game of the day, East Central and Southeastern Illinois battled back and forth through the first five innings. Tied 7-7 in the top of the sixth, the Lady Warriors got the winning runs on sacrifice flies by Houston and freshman catcher Kelli Ficken of Central Hinds Academy. Dufault added three more RBI to her total for the day with a pair of doubles. Freshman left fielder Kaylee Webb (Ruston, La.) stole four bases in the win. Freshman pitcher Jesalyn Jarrette (Baskin, La., Franklin Academy) got the win in the circle in relief. For the day, East Central banged out five home runs and 10 doubles. The Lady Warriors are scheduled to play five games next weekend in the Rush Invitational in Meridian. East Central will face Wabash Valley College (Ill.) at 11 a.m. and Southeastern Illinois at 1 p.m. on Friday, Feb. 22, and John A. Logan College (Ill.) at 9 a.m., Trinity Valley Community College (Texas) at 11 a.m., and Coastal Alabama-North Community College at 3 p.m. on Saturday, Feb. 23. The first home doubleheader of the season is Monday, March 4, when Lansing Community College (Mich.) visits the Softball Complex in Decatur for a doubleheader beginning at 3 p.m.
Zoe Bigham represented Louisville in the Miss Teen USA Pageant in October where she was 4th Alternate and People’s Choice Award Recipient. Zoe is Miss Rhythm and Blues which is a preliminary pageant for Mississippi’s Outstanding Teen in Vicksburg in April. Zoe collected coats, school uniform pants and other items of clothing for the clothes closets at Fair Elementary School and Noxapater Attendance Center. Zoe is the daughter of Michele and Jeff Mosley and J. T. and Cassie Bigham. The East Central Community College Warriors traveled south to Chalmette, La., to open the 2019 baseball season Wednesday, Feb. 13, and came home to Decatur with a doubleheader split with the NJCAA Division I Nunez Community College Pelicans. The games were played at the Noel Suarez Stadium at Chalmette High School. East Central won the opener 6-2, before falling to the Pelicans in the nightcap 6-3. With the split, the Warriors open the season 1-1. Nunez is 4-3. The new season opened with a bang for East Central as freshman designated hitter Al Dumas out of Eupora High School hit a solo home run in his first collegiate at-bat in the top of the first inning. Sophomore outfielder Ken Scott of Clarkdale followed three batters later with a two-run shot and a 3-0 Warrior lead. Redshirt freshman center fielder Dakota Kennedy (Choctaw Central) plated a run in the third on a sacrifice fly that scored Scott. East Central added a pair of insurance runs in the top of the eighth on an RBI single from sophomore left fielder Ryan Cupit (West Monroe, La.) and a Nunez error. The Warriors got a strong outing from sophomore pitcher Thomas Boothe, who prepped at Bayside Academy in Fairhope, Ala. The 6-8 right-hander got the win pitching five innings of no-hit baseball and striking out 10 batters. Three East Central pitchers combined to fan 15 batters over the nine innings, allowing only three hits. East Central looked like it might go for the sweep, jumping out to a 2-0 lead over Nunez in the third inning of game two. Freshman designated hitter Cameron Cotten of George County doubled in George Farid (Mississauga, Ontario, Canada) who had walked and Cupit who had also doubled. Nunez quickly rebounded with four runs in the bottom of the third on only two hits, while taking advantage of a Warrior fielding error and a balk. East Central closed the gap to 4-3 in the next inning after freshman shortstop Roper Ball of Nanih Waiya doubled and then scored on a Scott single. Nunez ended the scoring in game two in the bottom of the frame with three runs on just one hit, four walked batters, and a passed ball. Freshman right-hander Walker Johnson (East Webster) got the start for East Central and took the loss. He threw 3.1 innings, giving up five runs on five hits. Three Warrior pitchers walked six batters in the seven-inning contest, while putting up another nine strikeouts. East Central left 10 runners on base in the 6-3 game two loss. Cupit picked up four hits on the afternoon in seven official trips to the plate, while Scott led the Warriors with three RBI. The Warriors will next be in action Sunday, Feb. 17, when they host Jefferson College (Mo.) in the home opener at the Clark/Gay Baseball Complex on the campus in Decatur. First pitch is 1 p.m. Jefferson College is ranked No. 5 in the NJCAA Division I Top 20. East Central will then entertain Lawson State (Ala.) on Tuesday, Feb. 19, in a doubleheader that begins at 2 p.m. The annual Rush Invitational will be Feb. 22-23 at the Clark/Gay Baseball Complex. The Warriors will play a doubleheader against Wallace State-Hanceville (Ala.) beginning at 3 p.m. on Friday, Feb. 22, and Wallace State and Baton Rouge Community College will play two games on Saturday, Feb. 23, starting at 2 p.m. The East Central Community College basketball teams kept their playoffs hopes alive as they went on the road and swept MACJC South Division opponent Meridian in action Thursday, Feb. 14, at Graham Coliseum in The Queen City. The ECCC Lady Warriors opened the evening with a 58-48 win over the Lady Eagles, followed by the Warriors defeating the Meridian Eagles 67-48. In the men’s action, the Warriors played a dominating second half in avenging a 79-63 loss to Meridian in January in Decatur. The two teams played it close most of the first half, with East Central leading 35-33 at the intermission. The final 20 minutes was all East Central as the Warriors outscored Meridian 32-15 to pick up the 19-point win. Sophomore guard Roti Ware of Morton scored 19 points to lead East Central. Freshman forward JaQuarius Smith of Noxubee County added 15 points and nine rebounds. Freshman guard Devin Carter of Pearl had 12 points, and freshman guard Nick Preyer (Mobile, Ala., LeFlore) had six assists. East Central outrebounded the Eagles 36-23. With the win, the Warriors improved to 11-10 overall and 4-8 in MACJC South Division play. The Meridian Eagles fell to 7-13 overall and 2-10. East Central is now in a four-way tie for fourth place in the South Division with two games to play, both against teams they are tied with in the standings. The top four teams in each division qualify for the MACJC State Tournament. In the opening women’s game, the East Central Lady Warriors beat the Meridian Lady Eagles for the second time this season. The second matchup Thursday night was a low-scoring affair, with East Central pulling away in the second period to take a 13-point lead, 30-17, at the half. The Lady Warriors pushed out to as much as a 16-point lead in the third quarter before settling for the 58-48 win. The Lady Warriors were led by the 12 points and nine rebounds of Diamond Wraggs of Louisville, who was a perfect 6-of-6 from the floor. Sophomore forward Sharan Turner (Gonzales, La., East Ascension) was the only other East Central play in double figures. East Central had a 12 rebound advantage in the contest. The ECCC Lady Warriors are now 16-5 overall on the season and 7-5 in division play. The Lady Warriors are in a two-way tie for fourth place in the South Division with two games remaining. The Meridian Lady Eagles are now 9-12 overall and 3-9 in league play. The Warriors and Lady Warriors will play their final home games when Hinds visits Brackeen-Wood Gym on Monday, Feb. 18, for Sophomore Night. The women’s action begins at 5:30 p.m. and the men play at 7:30 p.m. East Central will close out the regular season with a trip to Summit to face Southwest on Thursday, Feb. 21. Those game times are 5:30 p.m. and 7:15 p.m.
Congratulations to Louisville High School student Nicole Adams, winner of the Congressional App Challenge for Mississippi's First Congressional District! Nicole is being recognized for her application entitled, "Getcha Career in Gear." 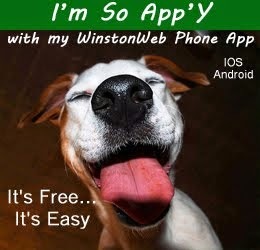 The app is designed for the Winston - Louisville Career and Technology Center students. Mrs. Kristi Jernigan, Louisville High School's Science, Technology, Engineering and Math teacher, said the app includes information about the courses offered at the center, organizations that are connected to courses, and general contact information. "I am really excited for Nicole," Jernigan said. "Originally, Nicole worked on development of the app with another student who moved before completion. Nicole was able to successfully complete the challenge on her own." The students' app will be displayed in the United States Capitol and will be highlighted on the U.S. House of Representative's website. The Congressional App Challenge is open to all students in Mississippi's First Congressional District. To learn more about the competition, please click on the link. The Jones College men’s and women’s basketball teams came into Brackeen-Wood Gym in Decatur with a combined record of 33-5 overall and 19-1 in MACJC South Division play, but each left with a blemish to their record as the East Central Community College Lady Warriors and Warriors both pulled upsets Monday, Feb. 11. The East Central Lady Warriors avenged a 28-point loss to the Jones Lady Bobcats in Ellisville back in January with a stunning 74-71 win Monday night over the nation’s No. 5 ranked team. As if that weren’t enough excitement for the evening, the East Central Warriors took the Jones Bobcats to overtime for the second time this season, but this time were able to hold on for an 84-81 win. Jones won the first meeting 71-69 in overtime back on Jan. 17. The Bobcats beat previously undefeated and No. 7 ranked Pearl River in their most recent outing. Both the Jones Lady Bobcats and Bobcats were sitting atop their respective MACJC South Division standings when the night began. The men’s game provided the most thrilling finish of the night, as the Warriors got a tip-in at the buzzer in regulation to tie the game 70-70 and send it to overtime. East Central trailed 70-67 with less than three seconds to play when freshman guard Nick Preyer went to the free-throw line for a one-and-one. Preyer hit the first free throw and intentionally missed the second. On the miss, Warrior freshman guard Haden Boyd (Stringer) came down with the rebound and a jump ball was called with the possession arrow favoring East Central. The ensuing inbounds pass by Preyer was tipped right into the hands of freshman forward Marcus Bates who laid it in to send the game to extra time. The Warriors would then outscore Jones 14-11 in overtime for the three-point win. East Central shot nearly 60 percent from the floor in the first half in pulling out to a 40-28 lead. A 15-4 run to end the first half put the Warriors in control at intermission. Jones used a 10-0 run to start the second half to get back in the game. The Bobcats would eventually take the lead and extend it to 10 points, 67-57, with about two minutes to play before the Warriors would outscore Jones 13-3 down the stretch to send the game to overtime. Five East Central players scored in double figures in the win, led again by sophomore guard Roti Ware of Morton with 27 points, four rebounds, two assists, and three steals. Preyer (Mobile, Ala., Leflore) had 13 points, six rebounds, and six assists. Freshman forward Dontavious Smith of Terry added 11 points and pulled down a game-high eight rebounds. Bates (Tuscaloosa, Ala., Paul Bryant) added 11 points, while freshman guard Zack Tucker out of West Lowndes had a career-high 10 points. With the win, the Warriors improved to 10-10 overall and 3-8 in MACJC South Division play. Jones fell to 15-5 and 9-2. Jones fell out of a tie for first place in the South Division, while the Warriors kept their slim playoff hopes alive with three games to play. The Lady Warriors ended a two-game losing streak with the upset over the highly ranked Jones Lady Bobcats behind 22 points from freshman guard Jariyah Covington out of Starkville. The game was close throughout the first two periods, with the biggest first-half lead coming at five points for Jones. The Lady Warriors would end the second period with a 6-0 run to take a 38-35 lead at the half. East Central came out of the locker room in the third period and grabbed a 13-point lead, 53-40. But Jones kept plugging away and used a 10-0 run to pull within 53-50. The Lady Warriors would move back out to an 11-point lead in the final period, and then survived a tense final 40 seconds as Jones made a late run to try and tie the ballgame. Covington hit four clutch free throws as time was winding down, and sophomore forward Diamond Wraggs (Louisville) and freshman forward KeiMoya Walker (Jackson, Murrah) both blocked three-point shots as the Lady Warriors held on for the three-point upset win as a final desperation half-court shot by the Lady Bobcats was off the mark. Sophomore guard Breanna Riley of Biloxi added 11 points for the Lady Warriors, while Walker chipped in 10. Sophomore forward Sharan Turner (Gonzales, La., East Ascension) and freshman forward Kimberly Green (Greenwood, Amanda Elzy) both had seven rebounds. The ECCC Lady Warriors are now 15-5 overall on the season and 6-5 in division play. East Central sits in fifth place in the South Division. The top four teams in each division make state tournament play. The Jones Lady Bobcats dropped to 18-2 overall, but still hold a three-game lead at the top of the division with a 10-1 record. East Central travels to Meridian on Thursday, Feb. 14, for games at 5:30 p.m. and 7:30 p.m. The Warriors and Lady Warriors will play their final home games when Hinds visits Brackeen-Wood Gym on Monday, Feb. 18, for Sophomore Night. The women’s action begins at 5:30 p.m. and the men play at 7:30 p.m.
Pictured l to r: Erica Cole (Fair Elementary), Toni Rivers (Louisville Elementary), Natalie Hickman ( Eiland Middle School), Sonja Greer (LHS), Laynette Ashmore (Nanih Waiya), Amy Thomas (Noxapater). Toni Rivers is also District Parent of the Year! If you did not get to leave a donation for the FODP, please mail your donation to: Friends of Dean Park, Inc., P. O. Box 365, Louisville, MS. For information about community service hours for students and others, please contact: Elmetra Patterson, 510.672-2106 or Dr. Richard Moncrief 662-736-3323.